NuGet Gallery | Packages matching Tags:"information"
82 packages returned for Tags:"information"
Lucene.Net Contrib adds a set of advanced functionalites to Lucene.net, like faceted search, spatial queries, highlighters, spell check and more. This package contains the .NETFramework/.NETCore/.NETStandard reflection information data set for use with the EWSoftware.SHFB package. Analyzers for indexing content in different languages and domains for the Lucene.Net full-text search engine library from The Apache Software Foundation. Various third party contributions and new ideas extensions for the Lucene.Net full-text search engine library from The Apache Software Foundation. Extended Filters and Queries for the Lucene.Net full-text search engine library from The Apache Software Foundation. Query parsers and parsing framework for the Lucene.Net full-text search engine library from The Apache Software Foundation. Provides properties and methods for getting information about the monitor. Consolidates methods for getting user information (profile picture, email address, home directory ect.) to a single class. Breaking changes in 3.1.x - See https://github.com/Capgemini/Cauldron for more information. Single-document in-memory index implementation for the Lucene.Net full-text search engine library from The Apache Software Foundation. 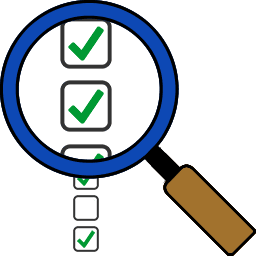 Collectors for grouping search results for the Lucene.Net full-text search engine library from The Apache Software Foundation. Index-time and Query-time joins for normalized content of the Lucene.Net full-text search engine library from The Apache Software Foundation. This package contains the .NETPortable reflection information data set for use with the EWSoftware.SHFB package. Faceted indexing and search capabilities for the Lucene.Net full-text search engine library from The Apache Software Foundation.